This week we were pleased to be sent some snacks to review from PENN STATE. 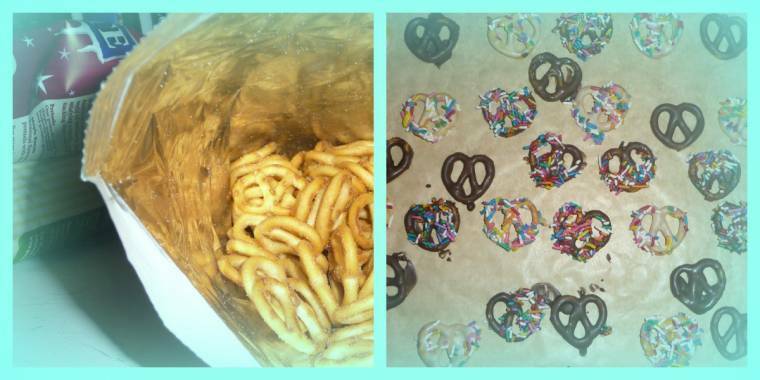 My children loves nibbles and we often buy the mix variety party packs with pretzels inside. ( They always disappear first)!! Or just the plain (shops own brand) pretzels!! We were interested to find out what the flavoured Penn State wheat and potato pretzel knots tasted like. Always up for a challenge!! I got sent 3 packs of the classic American snacks to try, 2 limited edition Maple Bacon and a pack of Sour Cream and Chive. Anything that involves melted chocolate gets my attention straight away!! In a heatproof bowl melt some milk cooking chocolate. Grab the pretzels and dip into a bowl of sprinkles. Repeat until all chocolate has been used. Leave to set on some grease proof paper. Repeat the first steps again with the white cooking chocolate. They taste great warm as well as set ,the savoury of the bacon and the sweet with the chocolate goes great together. I opened a pack of the maple bacon pretzels when my little ones were at school,wrong thing to do as these are so moreish, after I turned my back my oldest son said “woo what are these” and started to munch away too. 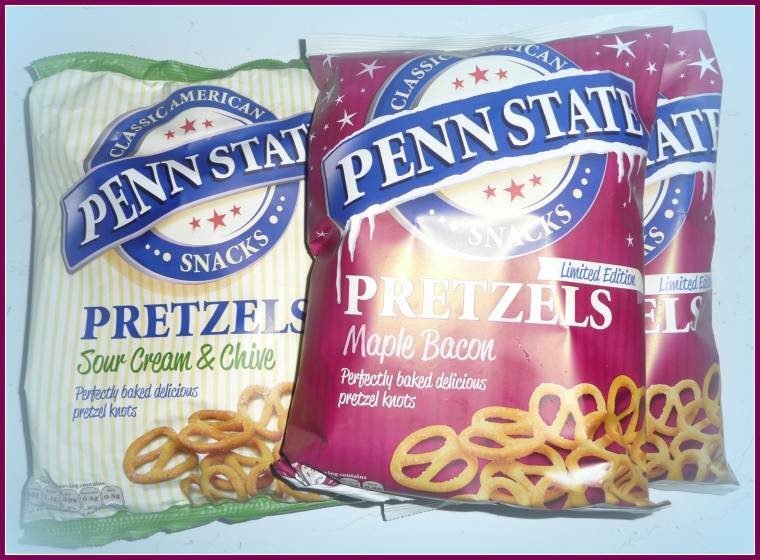 They taste delicious with a nice strong taste of bacon and a slight taste of maple these pretzel taste lovely,fresh and crunchy. With the rest of the pack I quickly covered some in chocolate to try some sweet Pretzels with my other 3 children when they arrived home from school. Now they have finished school for the holidays I’m sure we will have fun trying out some of the other recipes. We opened the sour cream cheese to have with our sandwiches last night at tea time, same as the maple bacon, taste lovely, fresh and crunchy and we all loved the flavour. Both flavours taste great and all 6 of us loved both packs the pretzels, which is rare in our house to all give a product the thumbs up. "21/12 Link Up Your Favourite Posts This Week : Welcome To The Weekend Hop …"
maple bacon pretzels with chocolate?? heck yeah!!! !